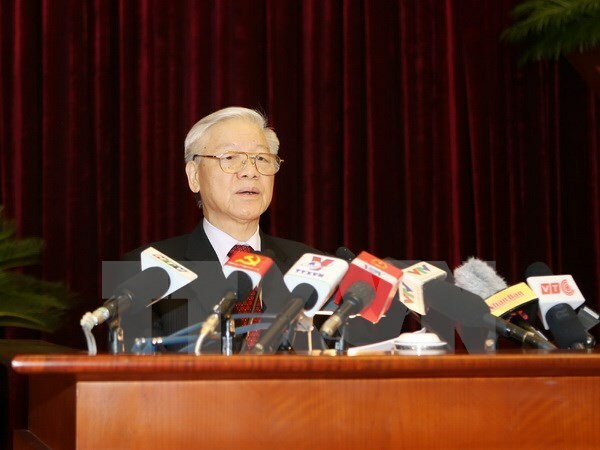 Hanoi (VNA) – Party General Secretary Nguyen Phu Trong will pay a state visit to Myanmar from August 24-26 at the invitation of Myanmar President Htin Kyaw, aiming to deepen the two countries’ cooperation in trade and economics. According to the Ministry of Industry and Trade, Vietnam and Myanmar established diplomatic ties four decades ago. Trade between the two nations hit 536 million USD last year, exceeding their target and making Vietnam the ninth largest trade partner of Myanmar. Two-way trade rose by 48 percent to 250.2 million USD in the first four months of 2017 with Vietnam enjoying a trade surplus of 133.3 million USD. Vietnam goods were worth 191.7 million USD in the period, up 29 percent year-on-year, while imports almost tripled to 58.5 million USD. Means of transport and spare parts accounted for the largest proportion of Vietnam’s exports to Myanmar, 11.9 percent, followed by steel, machines, plastic products and metals. Made-in-Vietnam consumer goods have been well received in Myanmar as they are good quality and affordable, said Vu Cuong from the Asia-Pacific Market Department at the Ministry of Industry and Trade. But some Vietnamese products have struggled to access Myanmar due to lengthy customs clearance in the country and fierce competition from China and Thailand, according to Cuong. Additionally, it takes about two weeks to ship products from Vietnam to Myanmar by sea, increasing transport costs.